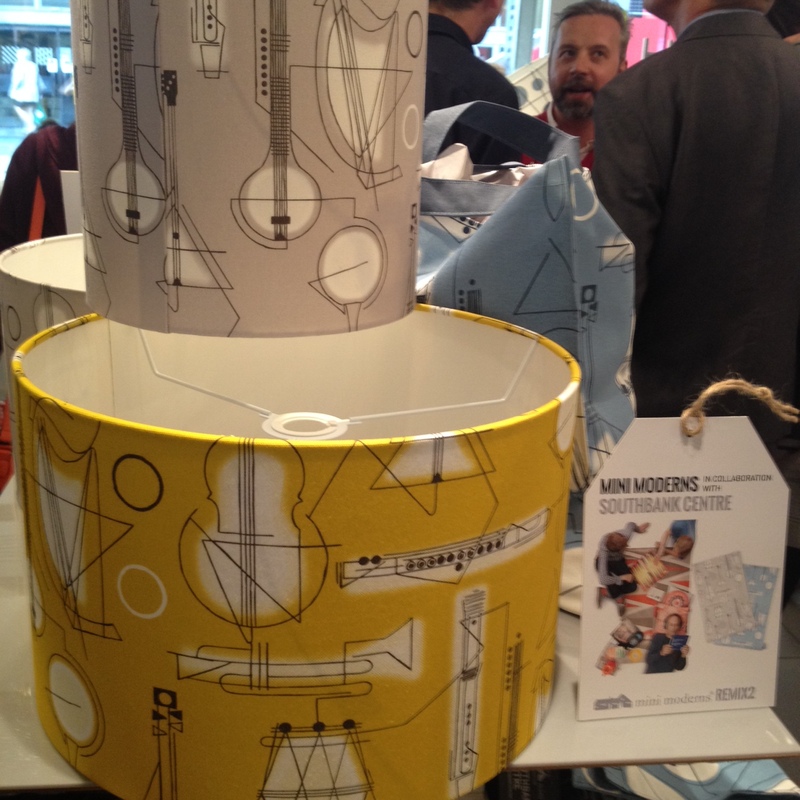 Last Wednesday we were invited to the launch of REMIX2 – a partnership with Mini Moderns and the Southbank Centre. The design duo are back again, this time taking residency at the Southbank Centre Shop on Festival Terrace for the whole of September. 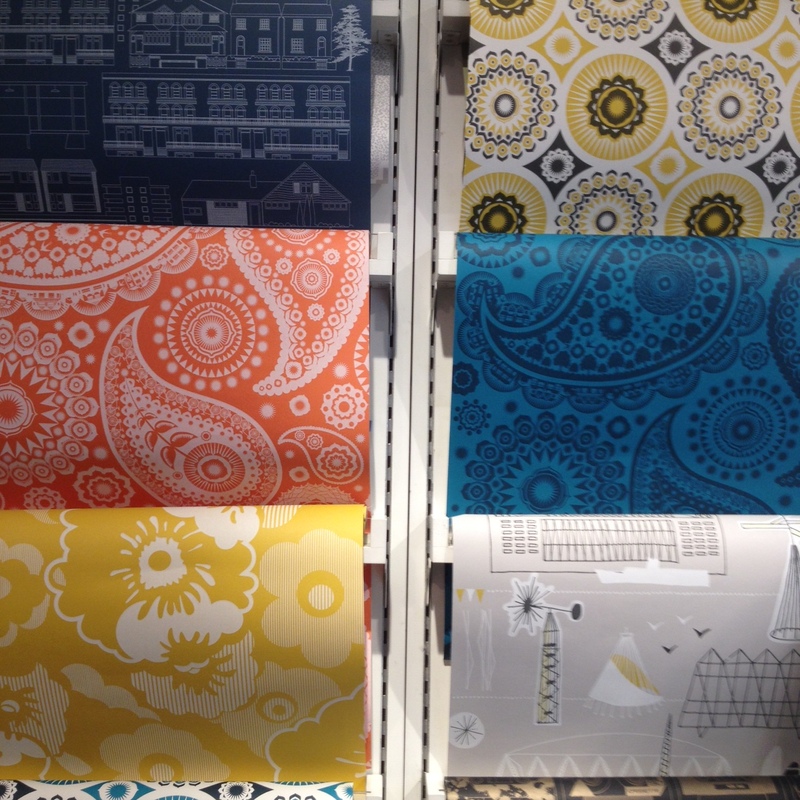 We got to preview the exclusive range and let us tell you, it didn’t disappoint! To the ‘Festival’ design – a celebration of the 1951 Festival of Britain which features beautiful colour ways of mustards, whites and greys. This colour palette features throughout with special edition lampshades where previous popular prints such as ‘Concert’ and ‘Net and Ball’ have been re-designed especially for REMIX2. 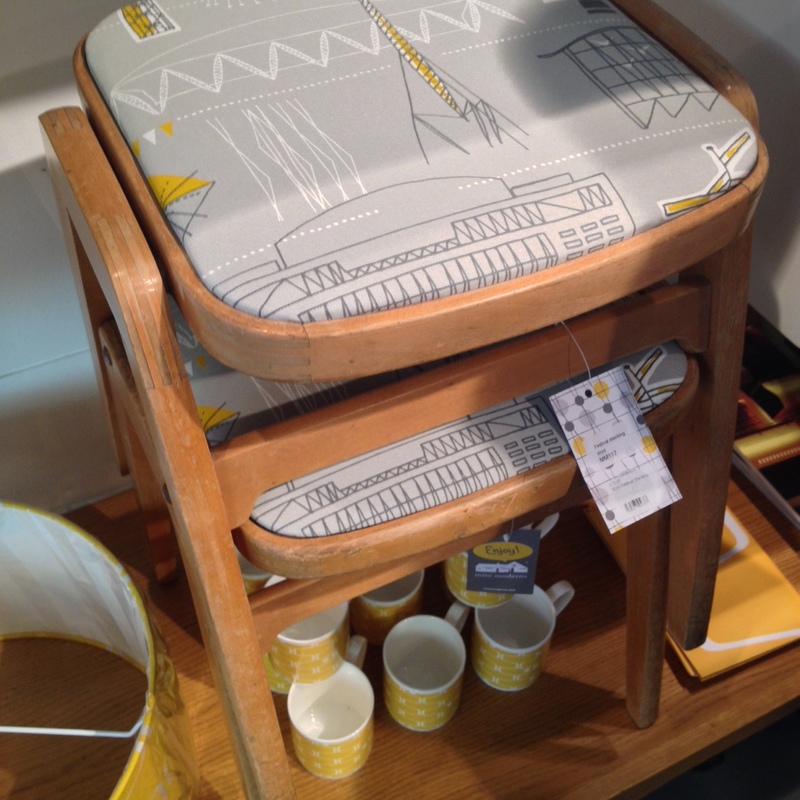 One thing we couldn’t help but fall in love with were the stools which feature the wonderful ‘Festival’ print. 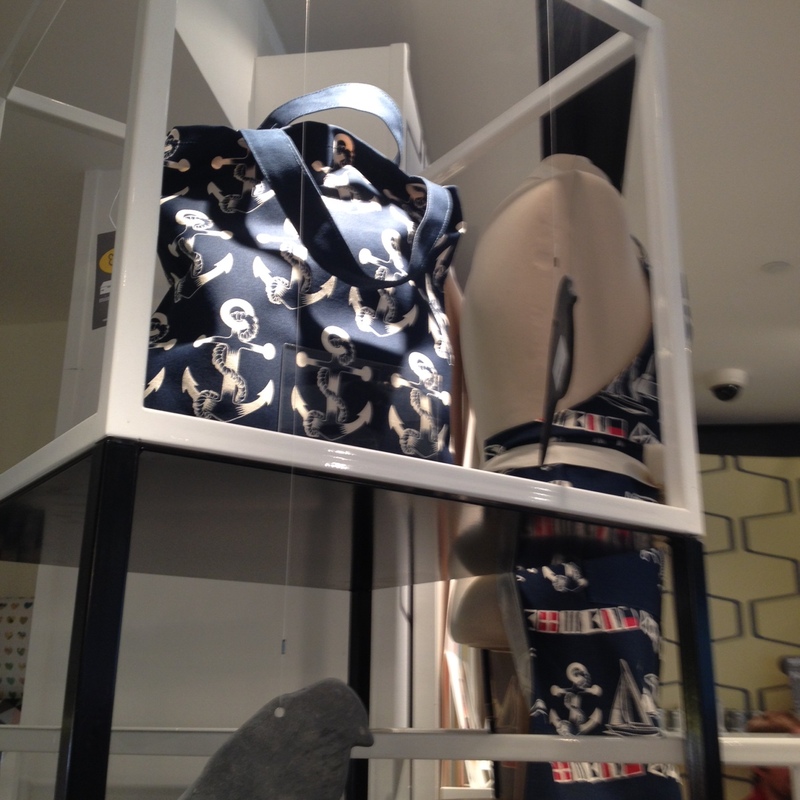 Sky blues, deep blues and baby blues also run throughout the range – from geometric and graphic prints to textiles a little more nautical such as bags adorned with anchors. As well as all of the above, Mini Moderns will also be launching the ‘Hinterland’ collection as well as ‘Sound Curtain’, an exclusive new print inspired by the original 1950s Edinburgh Weavers installation in the Royal Festival Hall. 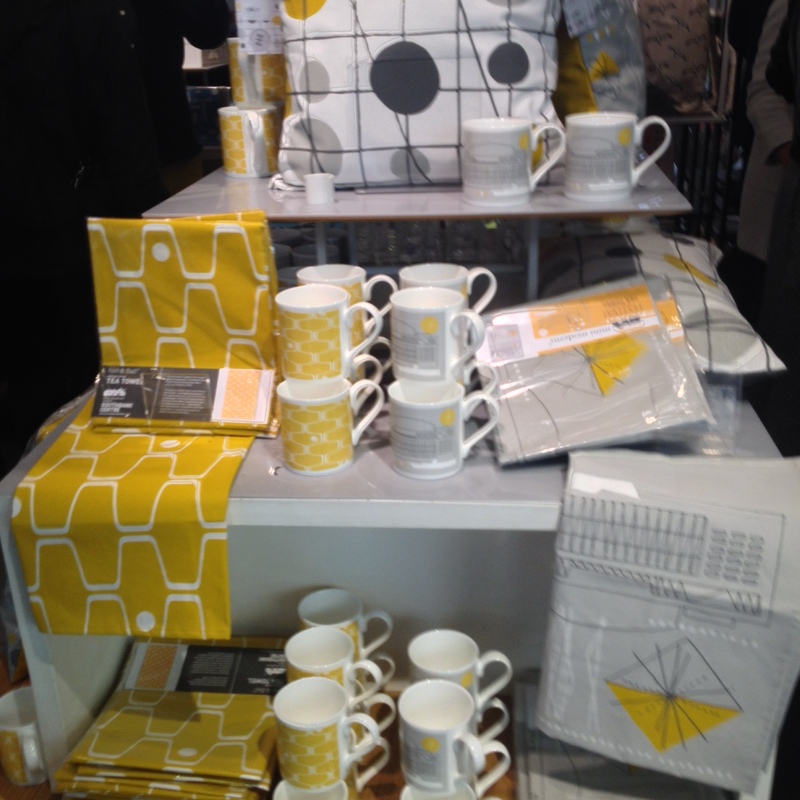 We recommend you get down to the Southbank Centre Shop and check out this wonderful, exclusive collection. They’ll also be holding a variety of workshops, events and guest appearances throughout the month so keep your eyes peeled! 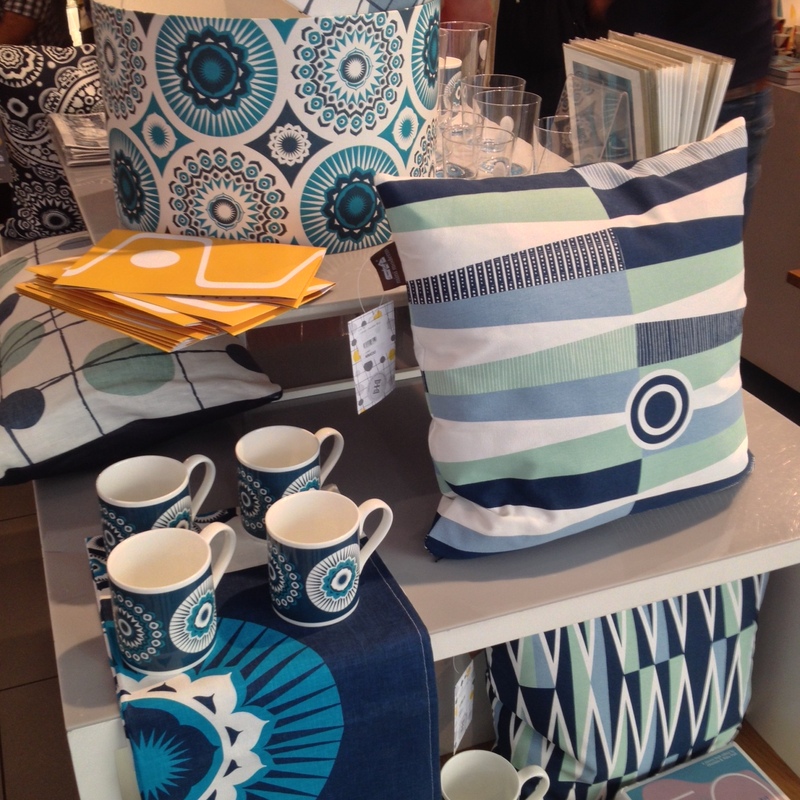 If you can’t make it down to the shop then don’t fret, Mini Moderns general collection online is definitely worth a look. 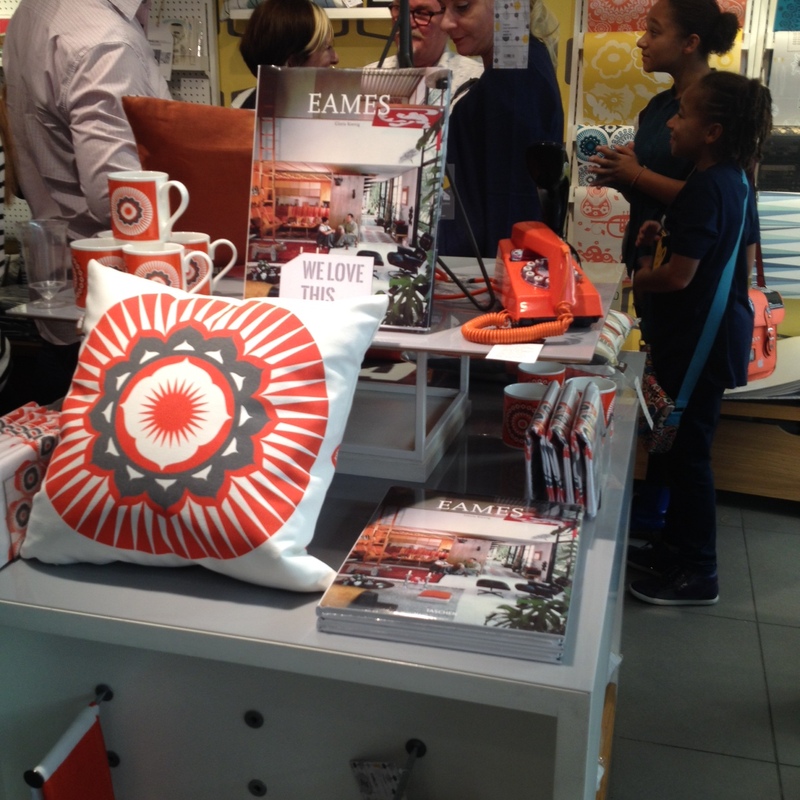 Thanks for having us Mini Moderns! Next articleFriday FindsForward Features Friday Finds!